GRAND RAPIDS, Mich. – SpartanNash today unveiled its new careers website – found at careers.spartannash.com – which highlights its own associates and tells the story of how the Fortune 400 company is providing exciting career opportunities to both current and future associates, offering customers quality products throughout the country and globally through U.S. military commissaries and exchanges, and enhancing the local communities it serves. 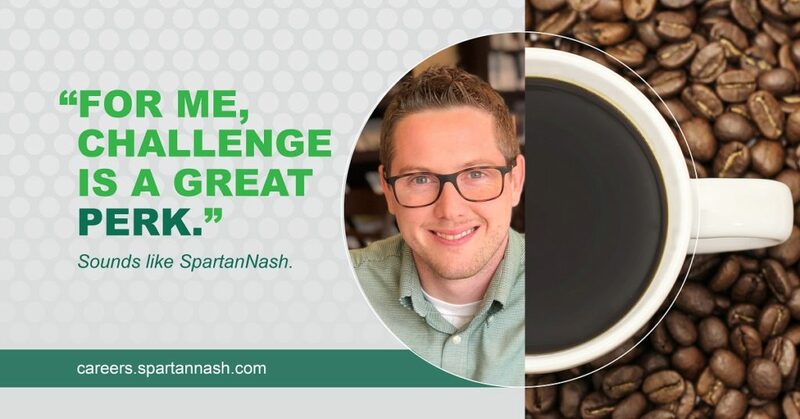 Using the theme “Sounds like SpartanNash” and pictures and testimonials of associates throughout careers.spartannash.com, the website is designed to provide ease of navigation and additional capabilities for both current and prospective job seekers. Details on the benefits of working at SpartanNash, such as competitive wages, a comprehensive total rewards program, 401(k) with employer match, tuition reimbursement and on-the-job training. Improved search functionality and an interactive map, giving job seekers the ability to find career opportunities at any of SpartanNash’s more than 140 retail stores, 19 distribution centers or other company locations. Overviews of each of SpartanNash’s business units, as well as testimonials from associates who embody what it means to work at SpartanNash. The ability to sign up for job alerts and hiring events. Social media integration and the ability to share career opportunities with friends and family.